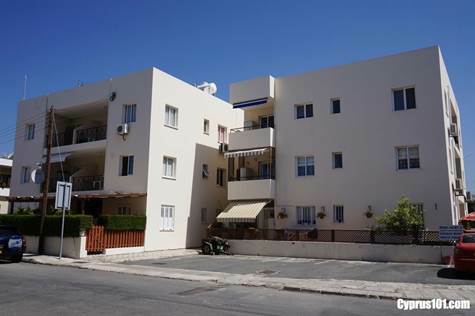 Paphos Town, Paphos District – This top floor one bedroom apartment is located in a quiet residential area of Paphos Town within easy walking distance to amenities. The property features a spacious living room with comfortable lounge, dining area and corner kitchen. Patio doors off the lounge provide easy access to a balcony with sun awning from where there is a pleasant aspect of the surrounding area and distant sea views. The fully fitted kitchen is well equipped with breakfast bar, built-in oven, electric hob, extractor fan, fridge/freezer and washing machine. A hallway off the living room leads to a double size bedroom with fitted wardrobes and a family size modern bathroom. The building has a lift and there is allocated parking at ground level. Furniture is included and there are full title deeds. or alternatively 100,000Turkish Lire plus 4,000 English Pounds or equivalent in Euros? How much are the service or annual extra charges per year?